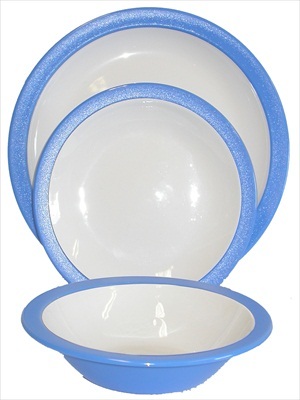 Two-colour, virtually unbreakable, polycarbonate plates and bowls. Coloured rim with white centre. Available in a wide range of colours. THIS IS A LARGE PLATE.